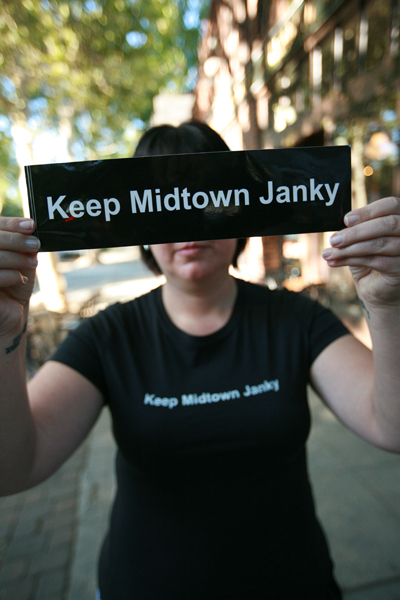 Keep Midtown Janky Tees are Here! Our interview with Melanie ‘Keep Midtown Janky’ Dinos produced a flood of requests for Janky tees like the one she was wearing in the cover photo. Now, only six months later, YOU can have your own Keep Midtown Janky 100% cotton tee for only $15! Stop by Phono Select at 2312 K Street and pick up your Janky tee in person.